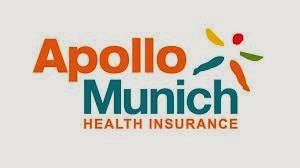 Private insurer Apollo Munich Health Insurance has announced the launch of a unique product-'ENERGY', for people living with Diabetes Mellitus 2 and/or hypertension, who are often denied insurance cover. ENERGY has been tailored in such a manner that it would provide insurance cover as well as works with the insured to help them manage their health condition by giving them an array of information, tools and support. The Chief Executive Officer, Mr. Antony Jacob said, “What makes the product unique is that it combines health insurance, wellness, counseling, incentives, technology, and community together in a very holistic and seamless way, keeping the needs of people living with diabetes in mind." ENERGY is a first-of-its kind solution to the millions suffering from diabetes in India, Mr. Jacob said, adding, Diabetes is a silent killer, and we wanted to create an insurance product to address it. ENERGY is India's first plan that truly understands Diabetes. The insurance and wellness ecosystem we have built will help those with Diabetes control it much better, and lead a 'close-to-normal' lifestyle, he added. This product will initially be available in 8 cities from December 16, before being rolled out nationally next year.